The cursor blinked while I waited for inspiration. Clearly, the sentence wasn’t finished. I needed more. But what came next? Or I could mention my business, the speaking I loved and my independent, entrepreneurial bent. FOOD. Yes! I could talk about my love of all things food—cooking and eating—and the long-distance running that had to happen as a result. Or how about my volunteerism and church attendance, the ministries I participated in and the faith I claimed to love? Those were important and certainly looked impressive. All of those things were part of what made me … ME. Problem was, I didn’t feel like I did them very well. Marriage, motherhood, work and faith. Was I good enough at any of them to claim them as my own? The cursor continued to blink, and I continued to wonder. 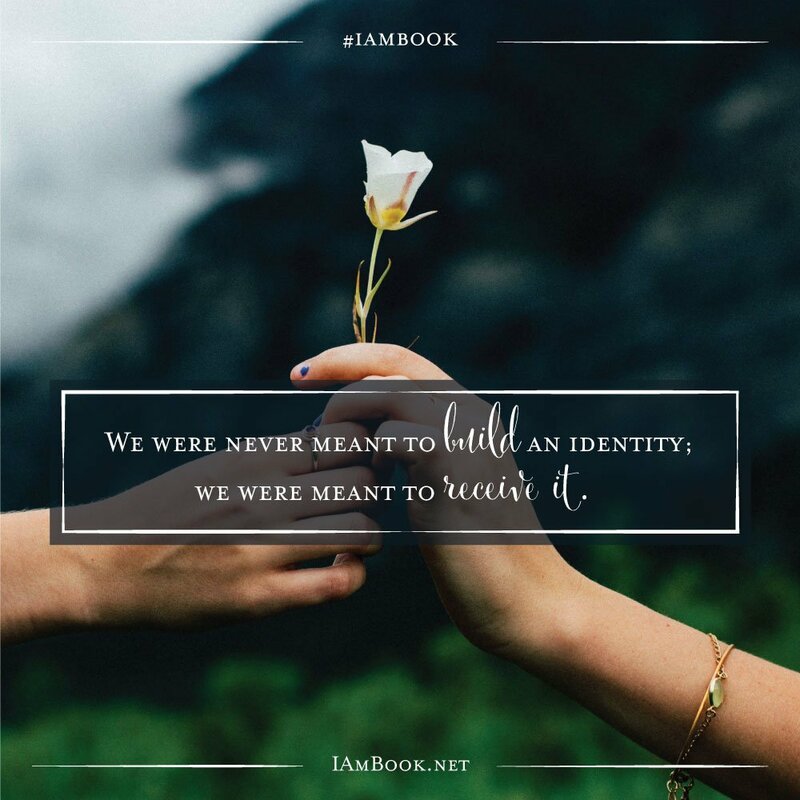 I Am: A 60-day Journey To Knowing Who You Are Because of Who He Is. As of today, that half page Word doc is now a book, 288 pages that took shape through far more hardship and heartache than my much younger self could’ve imagined. But it was worth it. So very worth it. Because all that struggle finally delivered the significance I’d long been looking for. 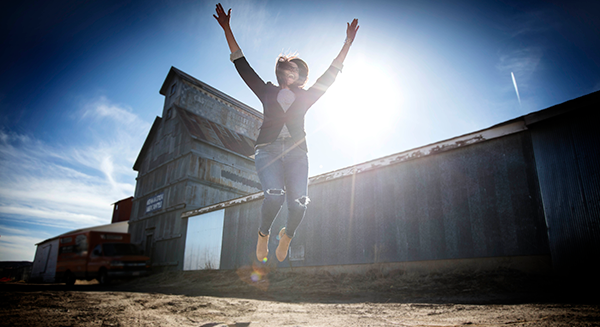 Are you weary of wondering who you are, why you are, and where you fit in this world? 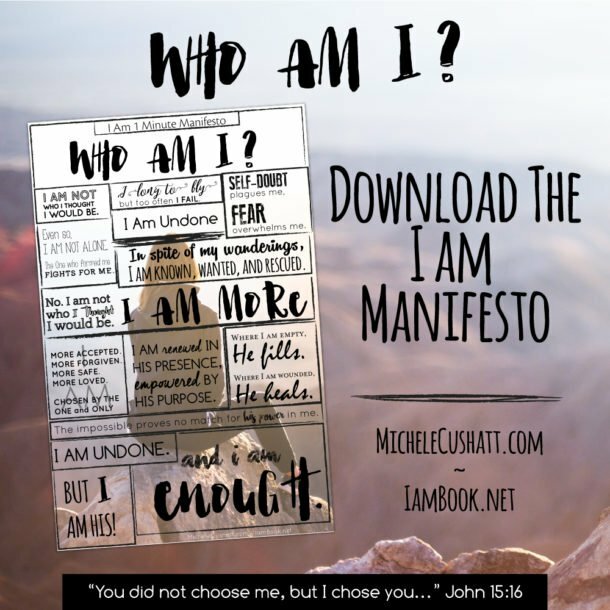 You don’t have to exhaust yourself trying to answer the “Who am I?” question. You don’t need to keep killing yourself hoping to be loved. Self-esteem techniques and self-help strategies aren’t enough. Instead, soak up the words of I AM. He’s the One who created you. The One who loves you and has promised to be with you, forever. Let’s you and I stop chasing after value, and instead receive it. You and I are enough, because He is enough. And that’s a beautiful way to live. I ordered mine and I am super excited to read it! Yes, ma’am. You are so much more! Much love to you. 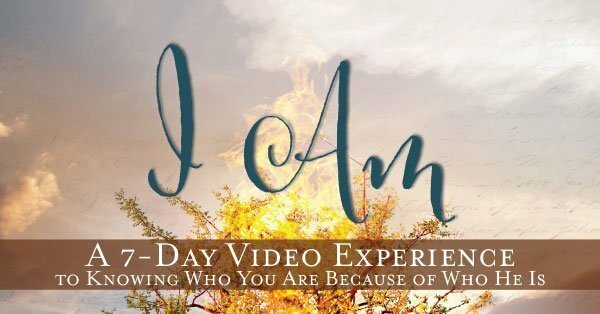 I have been listening to the videos for I AM and received my book yesterday! I think this came into my hands because I have felt so lost. I could say yes to every sentence in page 19. It’s true, “No amount of affirmation of encouragement seems to stick.” I’m so very tired of trying! I tried to find the link to the scripture memory verse cards on your website, but could not locate it. I would like to get those. If you could send them to my email, I would do appreciate it. RaDonna, I’m so glad you’re finding encouragement in I Am. Our God couldn’t love you more than He already does! I love this post, this book and all that God is revealing to me through it. Thank you! 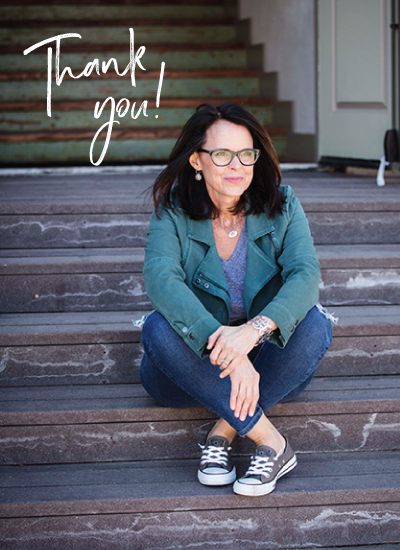 Thank you so much for writing this book and for writing your first book. I admire your perseverance and honesty. I am thankful that you have allowed me and so many others to look in on your life. In doing so, it’s as if you have looked in on my life because I know that you understand the heavy weight of fear that comes with lengthy trials. I know my story needs to be told as well. Thank you for helping me to begin that process. Yes, yes, yes. I totally understand the weight of fear. With you, friend.